of all learners is challenging. Professional Learning Partnerships Can Help! Schoolwide seeks to partner with schools to plan for, and enact, positive and lasting changes in literacy teaching and learning. Our Professional Learning Partnerships empower educators by providing unlimited open access to our responsive and adaptive curriculum platform, and effectively supporting teaching and learning, through customized and research-based professional learning opportunities for all stakeholders. Educators have unlimited access to a shared platform of continually updated, customizable, and research-based ELA curriculum resources. Educators work with a team of literacy experts in the areas of professional learning, instructional leadership, building teacher capacity, assessment, data-driven decision making, curriculum development, alignment, and mapping. Schools and districts save tens of thousands of dollars and experience a renewed focus on effective teaching and learning when switching from textbooks and traditional curriculum resources to a Schoolwide partnership. ATTENTION FUNDAMENTALS UNLIMITED USERS: MY FOLDERS IS NOW AVAILABLE! Schoolwide is excited to introduce MY FOLDERS, a robust new feature that allows teachers, coaches, and administrators to organize their personal library of digital teaching resources to best meet their teaching and learning goals. Log in to Fundamentals Unlimited and try MY FOLDERS today! Not a Fundamentals Unlimited User? Register for a FREE 7-DAY TRIAL! 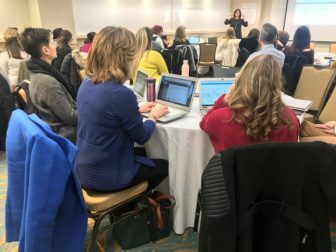 NEW WORKSHOP: LEARNING MORE ABOUT NONFICTION UNITS OF STUDY - May, 8 2019 / KING OF PRUSSIA, PA - REGISTER TODAY! Reading nonfiction is empowering. Nonfiction sparks students’ curiosity and opens their eyes to new worlds and different points of view. It is an essential genre to study. This workshop will support teachers in implementing a grade-specific nonfiction unit of study that is standards-aligned and focused on teaching students specific reading skills and strategies that will enable them to discover facts, identify big ideas, and learn new information . . . Fundamentals Unlimited is Schoolwide’s digital, mobile-friendly platform that provides unlimited access to all of our proprietary, evidence-based, and standards-aligned reading, writing, grammar, and assessment curriculum resources for grades K–8. 2019 FUNDAMENTALS PRODUCT SAMPLER & BOOK CATALOGS NOW AVAILABLE! Here’s what you will find in Schoolwide’s new Fundamentals literacy sampler: sample lessons, unit overviews, appendices, assessments, updated mentor text lists, and more! 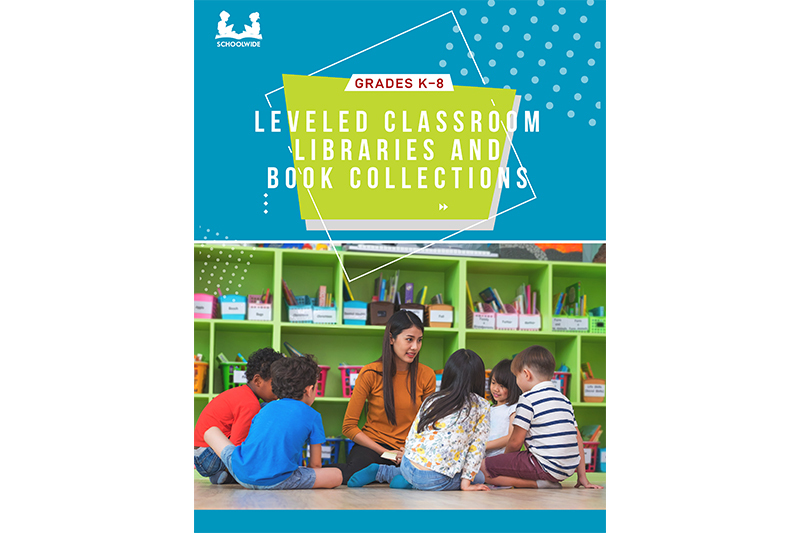 Also check out Schoolwide’s 2019 book catalogs, featuring brand-new and carefully curated classroom libraries for grades K–8, as well as supplementary book collections such as Genre Studies, Author Studies, Popular Series and Characters, Content Literacy, and Guided Reading Collections with Guided Reading Plans! FREE PRINCIPALS' SUMMER INSTITUTE: APPLY TODAY! SPACE IS LIMITED. Attention Principals: You are cordially invited to participate in Schoolwide's 2019 virtual Principals' Summer Institute. 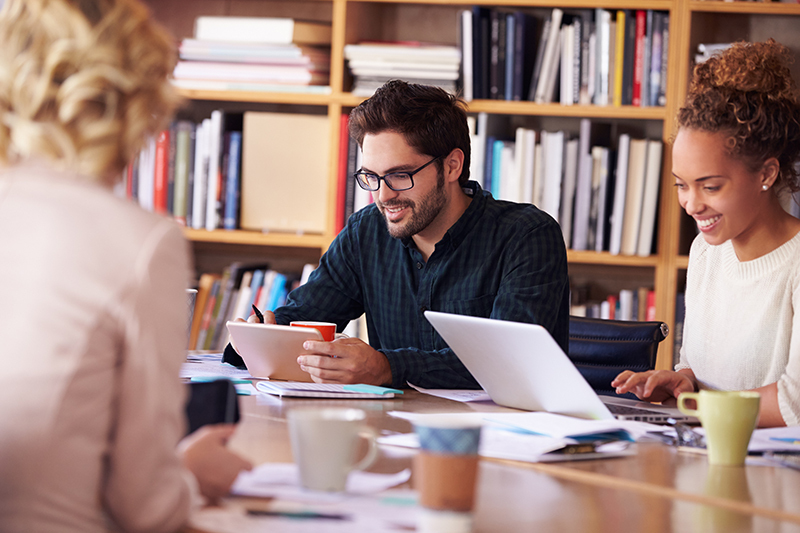 This three-part, web-based Professional Learning Series, designed exclusively for administrators, will focus on LEADING EFFECTIVE LITERACY PRACTICES and FOSTERING CONTINUAL IMPROVEMENT IN STUDENT LITERACY ACHIEVEMENT. DEADLINE FOR APPLICATIONS: MAY 15, 2019. JUNE 6TH | 7:00PM - Effective Instructional Practices: What literacy instructional practices should I support in my school to promote students’ engagement and literacy growth? JULY 16TH | 7:00PM - Data Collection and Authentic Measurements of Growth: What types of data should be collected and analyzed to inform classroom instruction as well as budget decisions about resources and professional development? AUGUST 12TH | 7:00PM - Developing Viable Action Plans for School Improvement: How can I plan for and enact positive and lasting changes that will enhance teacher performance as well as student learning? *Each interactive online session will be 45 minutes in length.